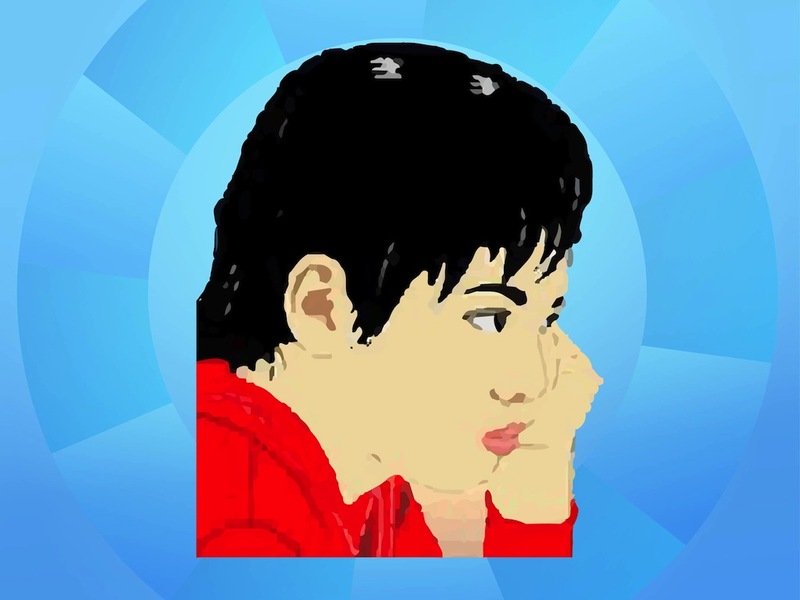 Emotional vector portrait of a young boy of Asian descent. Sad or depressed kid or teenager with a bright color shirt and chin resting on one hand. Free vector portrait for all your sadness, depression, emotions, facial expressions and dreams projects. Download sad Asian kid for posters and flyers. Tags: Asian, Boy, Depressed, Dreaming, Face, Portrait, Teenager.